It’s hard to ignore charm, curb appeal, and character in a potential home. Add in competitive pricing, and these properties near Fort Leavenworth will be hard to resist, because all three are full of each sought-after feature. Let’s go to America’s Heartland! This home is no longer listed. See current MilitaryByOwner listings near Fort Leavenworth. Pictures are worth thousands of words! 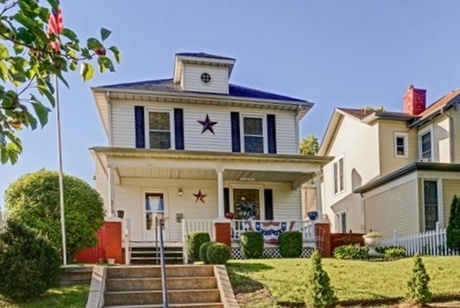 Just look at this classic home; the American Four Square is right out of Norman Rockwell neighborhood painting complete with covered front porch and gorgeous yard. Recent years have been good to this property, because more than $50K in updates have been lovingly installed. Those updates didn’t do anything to detract from the significant and one-of-a-kind woodwork, however. 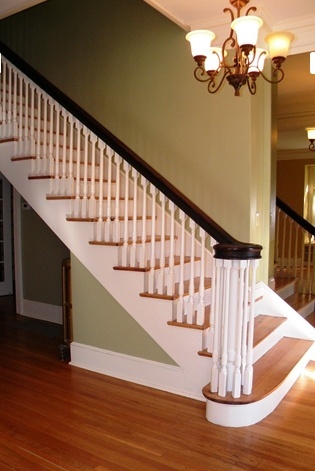 The foyer and staircase are simply elegant, while the hardwood floors complete the feel of high quality wood detail. The high ceilings and very open living floor plan make the 2,000 square feet throughout the house feel even more spacious. The back yard is enclosed with an inviting patio and off-street parking. There is a custom play house complete with electricity and cable, allowing for future purposes to be tailored to the next buyer’s needs. 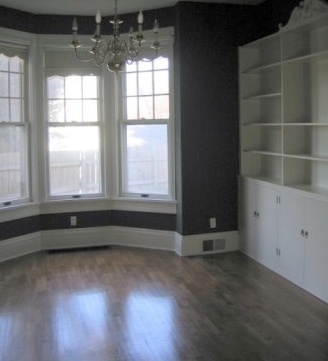 Potential studio or office spaces are certainly possibilities. 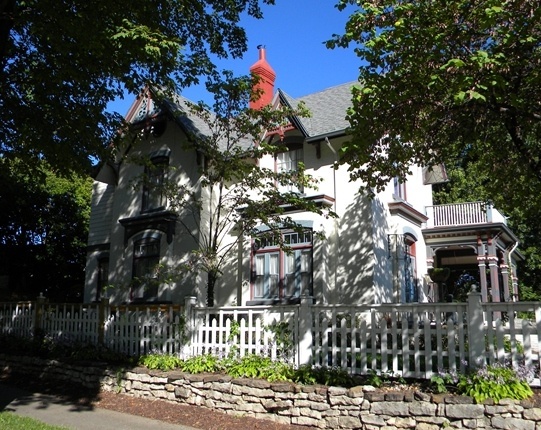 Curb appeal definitely isn’t lacking in this gorgeous Victorian lady on a precious corner lot. The updated landscaping and privacy fence provide the perfect oasis for enjoying the day spent on the patio. The mix of modern updates (new dual zone A/C and boiler) and historic charisma are plentiful inside. Restored wood floors and fresh paint frame the interior rooms, where a completely remodeled kitchen and bathrooms are located. 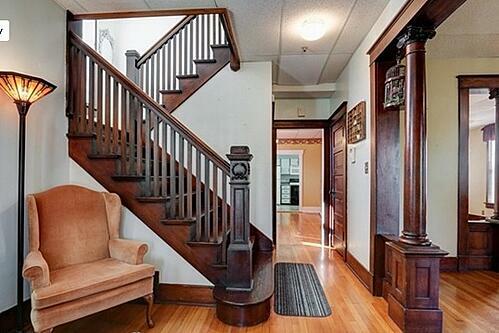 But the grand staircase with all the charm a 1860's historic house can offer really is the star of the show. The master bedroom and bath both have more storage than typical historic homes have. Two closets and double vanity give any couple more than enough space to get ready each morning. In the evening, the walk-in shower and soaker tub are waiting to ease the stress of a long work day. Two more full bathrooms are located upstairs, as is a convenient laundry. Even more storage is available in a fully insulated and wired attic and in an out building that currently serves as a studio, but could revert back to its original state as a garage. At this price point, this house is bound to draw a lot of interest! 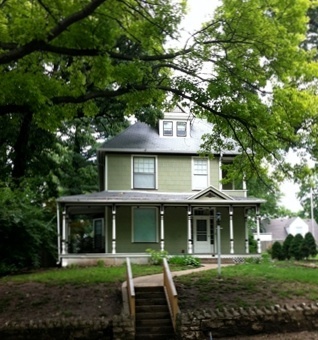 A wrap-around front porch warmly greets all who enter this historic home on South Broadway. Although built in the 1890's, much of the remarkable charm remains in detailed woodwork and built-in shelving. The formal living room, dining room, and sitting room are light filled because of the abundant windows throughout, especially where the three-paned bow front window looks over the property. A half bath and an updated kitchen with new cabinets, floor, granite countertops, and dishwasher finish the first floor layout. On the second floor are three bedrooms, a full bath, and laundry. The next lucky owners will also have access to a second laundry area in the basement. A third bedroom with potential to become an office or hobby room is up top on the third floor. Outside, the property is fenced and a one-car garage is available for storage and protection from the elements. Two extra sitting porches on the upper floors provide more specialty features not found in every historic home. Did you fall in love with any of these historic homes? If so, pick up the phone quickly; they won’t be around forever. If not, more heartland homes are waiting near Fort Leavenworth, Kansas.